The abundance of algal blooms that can form in a water body are determined by the availability of nutrients suitable for algae. In addition to this, the growth potential of algae is determined by the amount of available sunlight, as is the case for all photosynthesising organisms. 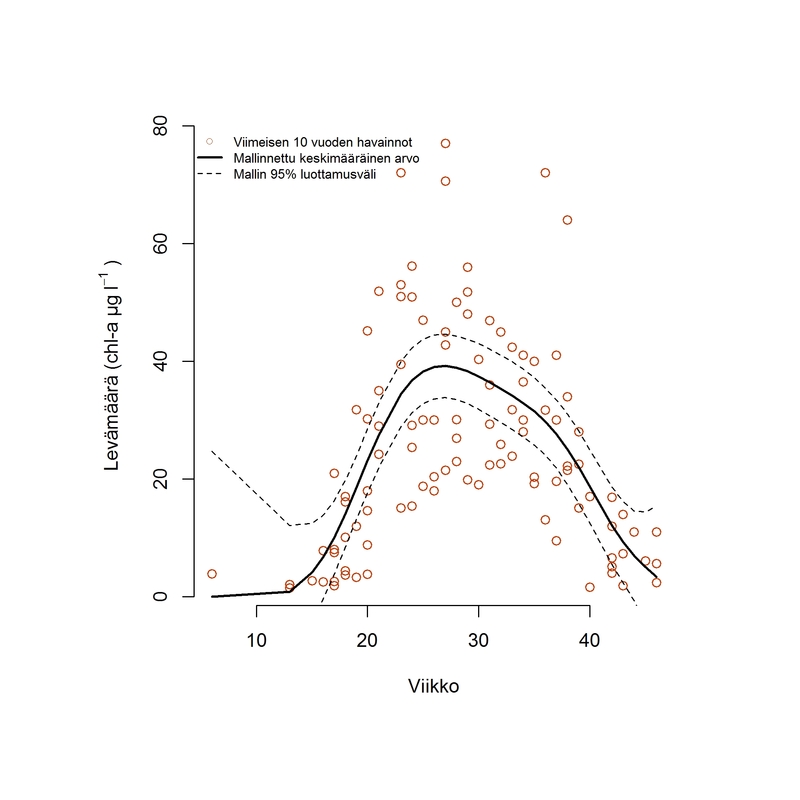 Due to the nutrient-rich waters and low availability of sunlight (owing to the turbidity of the river water) in Vanhankaupunginlahti, algal blooms are heaviest in the middle of summer when the sunshine is most plentiful. In other sea areas, algae are less prevalent in midsummer because their growth is limited by the availability of nutrients. As a result, in sea areas algal blooms are at their heaviest in the spring, when nutrients left over from winter are still available and the amount of sunlight increases. 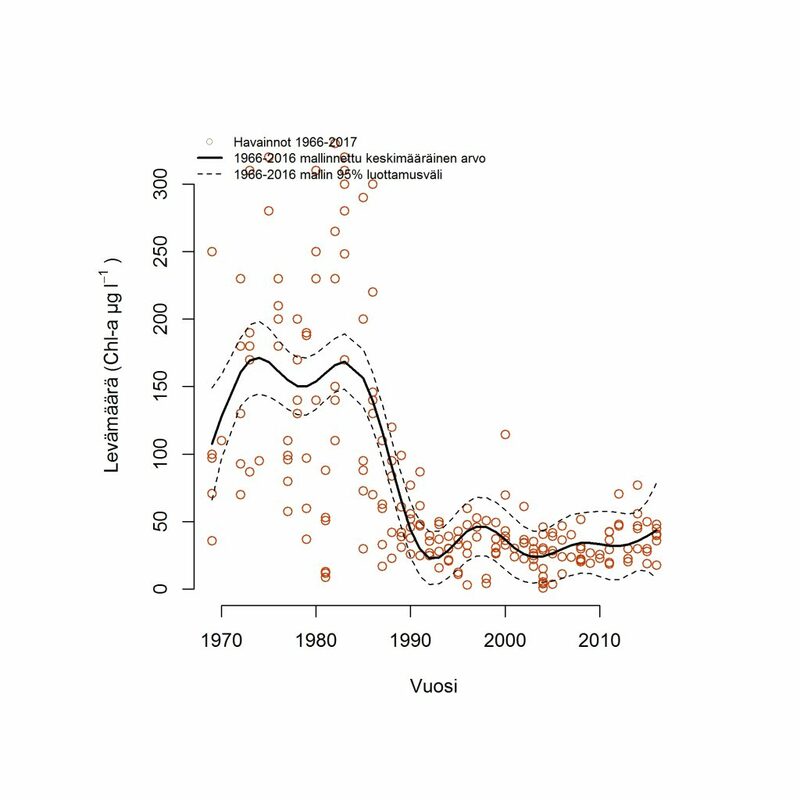 The midsummer algal blooms of Vanhankaupunginlahti have decreased considerably, to approximately a third, from the peak years when the nutrient load was at its highest. Even so, they remain considerably more abundant than is typical of other sea areas in the summer, sometimes being up to ten times as abundant.